Vian officers responded to a call Thursday evening regarding an unresponsive infant at a home on Columbia St.
Sheriff Ron Lockhart said the investigation into the 2 month-old baby's death is being led by Vian Police with the Sequoyah County Sheriff's office assisting. Interviews are being conducted by the Sheriff's office to try and find out what happened. However, the specifics of the child's death are not being released, but the situation is suspicious, Lockhart said. He also stated the father of the baby has been taken in for questioning. 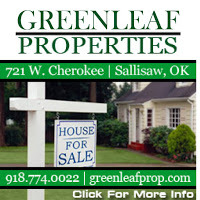 After receiving a report around 9:30 a.m. Thursday morning of a woman lying in a yard, the Sallisaw Police Dept., Fire Dept. and Pafford EMS responded to the scene on the 200 block of N. Hickory St. According to a press release from Sallisaw Police Captain Beau Gabbert, the woman , identified as 49 yr-old Leah Denise Fields, was pronounced dead on the scene. Detectives processed the scene and contacted the State Medical Examiner's office, where Fields' body was sent to determine cause of death, the release said. 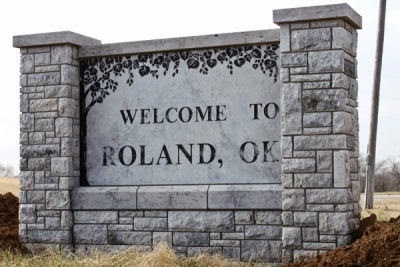 The Oklahoma State Auditor and Inspector performed an investigation of the Town of Roland from July 1, 2011 until February 28, 2013. The audit was conducted in multiple areas including payroll, petty cash, court and expenditures. According to a release by OSAI, payroll allegations were brought forward in regards to the deputy town clerk receiving improper payments while employed by the Town of Roland. Inspector Gary Jones found the clerk had received $129,441.52 in unsubstantiated pay- ments from July 1, 2009 until January 14, 2013. Also in the release it stated the Town Administrator reported an amount in excess of approved pay, receiving $51,633.27 in unsubstantiated payroll payments from the Town of Roland from July 1, 2009 until February 1, 2013. One person not involved in the original investigation was added in after a re- view of payments to other employees. The release noted this person had received nine checks in less than one month and received unsubstantiated pay totaling $11,096.66 from 2012 until 2013. The investigation also shows irregularities in the petty cash funding stating "Expenditures made from the petty cash checking account were rarely supported by adequate documentation." The Town of Roland's Sam's Club card was used by town officials, including the deputy town clerk, for personal purchases along with petty cash. In regards to the court, Jones reported the deputy town clerk had collected money from tickets outside official duties and did not remit these funds to the court in a timely manner. Examination of expenditures showed they were not supported by receipts, requisitions or purchase orders. Checks were signed by unauthorized personnel. Hand and power tools purchased by the Town could not be located. The Oklahoma State Auditor and Inspector discussed these findings with town officials recommend- ing that an evaluation be conducted of the duties associated with these positions and that additional accountability and controls be put in place to increase the overseeing of those offices. It was announced Tuesday that a homicide investigation is now in process after the body of a young man was discovered by authorities. 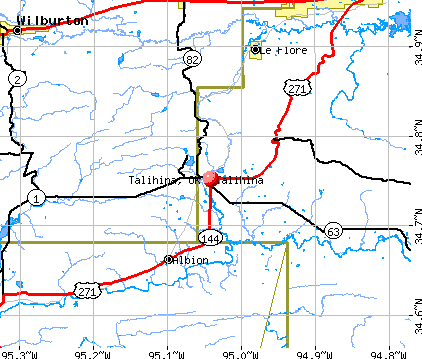 According to Sheriff Rob Seale, the body of a white male dressed in jeans and a T-shirt was found Monday west of Talihina in a pond in approximately three inches of water. It is believed by deputies that the body may be that of a 19 yr-old man who went missing from the Talihina area last week. According to a statement that was released, the name is not being released until positive identifi- cation is made and relatives are notified. The sheriff's office said the body has been sent to the state medical examiner's office to be identified and to determine cause of death. Seale said the cool temperatures and temperature of the water had a profound affect on the decomposition of the body. Anyone with any information regarding the man's death is asked to call the LeFlore County Sheriff's office. Wind Gusts of 35 to 40 miles per hour caused power outages early this morning. 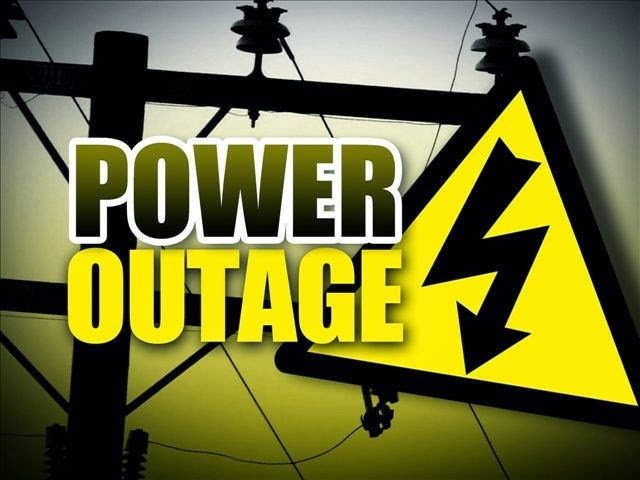 According to Cookson Hills Electric, at approximately 4 a.m. this morning customers northwest of Sallisaw in the Dwight Mission area, including pin hook corner and areas west, were without power. Crews were working on getting all of the power restored. 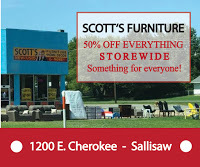 A second power outage, also caused by wind gusts, occurred in the city limits of Sallisaw this morning around 4:30 a.m. According to Blakely Smith Jr., supervisor over the Sallisaw Electric Department, the outage was caused by strong winds that blew a tree over causing it to hit a power line. A chain reaction caused six other poles to come down as well. The areas affected were south Kerr, the downtown area, south of 59 hwy and the water plant. 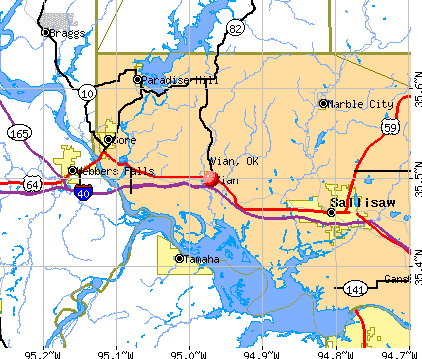 Power was restored withing 30 to 45 minutes due to the hard work of the City of Sallisaw Electric Department. Early Monday morning around 4:15 a.m., a semi heading to Ft. Smith was struck by another semi which was traveling from California to Maryland. 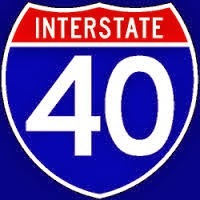 According to Oklahoma Highway Patrol, the incident took place east of Sallisaw on Interstate 40. The one semi heading to Maryland, loaded with 36,000 pounds of bratwurst, over-corrected and cau- sed it to tip over, crews at the sight said. A passenger in that semi was transported by ambulance to a local hospital where he is recovering from non-life threatening injuries. 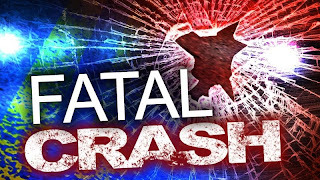 An accident involving a semi in which the driver was killed, occurred around 10:40 p.m. Saturday eve- ning four miles east of Sallisaw on Interstate 40. According to state police crash report, a 2008 Freightliner and trailer, for some reason, went off the road becoming airborne. It then struck a con- crete culvert causing the semi to burst into flames. Oklahoma State Police said the name of the driver is being withheld during the police investigation. No other vehicles were reported to have been involved. Police said road conditions were clear and dry at the time of the accident. Friday, January 17 is the last day to apply for voter registration in order to be eligible to vote in the February 11, 2014 City of Sallisaw and Annual School election, according to Sequoyah County Elec- tion Board Secretary, Cindy Osborn. 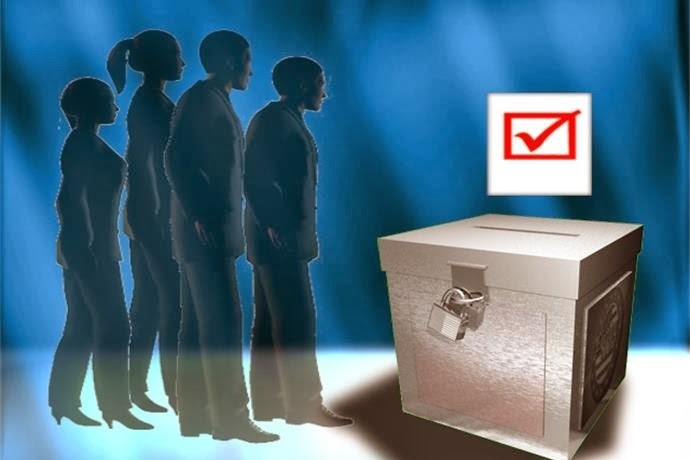 Osborn said that persons who are United States citizens, residents of Oklahoma and are at least 18 years old may apply to become registered voters. 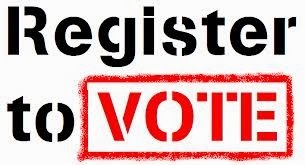 Persons who have never been registered to vote before or who are not currently registered in the county of their residence and persons who are registered, but need to change their registration in- formation may apply by filling out and mailing an Oklahoma Voter Registration Application form in time for it to be postmarked no later than midnight Friday, January 17. Osborn said that applications postmarked after that time will still be accepted and processed, but the applications will not be approved until after February 11, 2014. Oklahoma Voter Registration Applica- tion forms are available at the County Election Board office located at 110 E. Creek St. and at most post offices, tag agents and public libraries in the county. Voters in Sequoyah County who want to have absentee ballots mailed to them for the Tuesday, Feb- ruary 11, 2014 City of Sallisaw and Annual School Election should apply now, according to Sequoyah County Election Board Secretary Cindy Osborn. Although the County Election Board can accept ap- plications for absentee ballots until 5 p.m. on Wednesday, February 5, 2014, Osborn urges voters who want to vote by absentee ballot to apply early. Absentee ballot application forms are available at the County Election Board office located at 110 E. Creek Ave. Sallisaw, OK 74955. Voters who are physically incapacitated and voters who care for physically incapacitated persons who cannot be left unattended may vote absentee. They may apply by mail or by fax. Voters who are confined to nursing homes in the county may vote absentee. Military personnel and residents of the county living oversees and the spouses and dependents of each group are eligible to vote absentee without being registered. 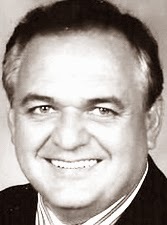 Friday morning Gary Lattimore, Roland's High School Principal of almost fifty years, died. He suf- fered from pancreatic cancer. Roland High boys basketball couch, Edward Lewis has known him all of his life. Lattimore had even served as his principal. It will be hard to carry on without him and even more difficult when the stu- dents return to school, Lewis said. Services for Lattimore are scheduled for Tuesday at the Roland High gym at 2 p.m. He was seventy years old. Just after 1 a.m. Friday morning, firefighters responded to a house fire on S. Blvd in Poteau. Upon arrival fire crews said the front rooms of the house and porch were engulfed in flames and neighboring homes were at risk. 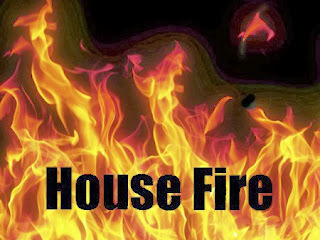 One man who was inside the home suffered cuts to his hands after running back inside the home to save his pets. According to John Pickel, Poteau Fire Chief, two dogs and a cat made it out, but are now lost after the crew rushed the man to safety. The cause of the fire is very likely a space heater, Pickel said.